Take control of the drifting feeling on the highway or trail with the Fox Racing Shox 2.0 Performance Series IFP Steering Stabilizer. Wandering steering may be a symptom of over-sized or aggressive tires. 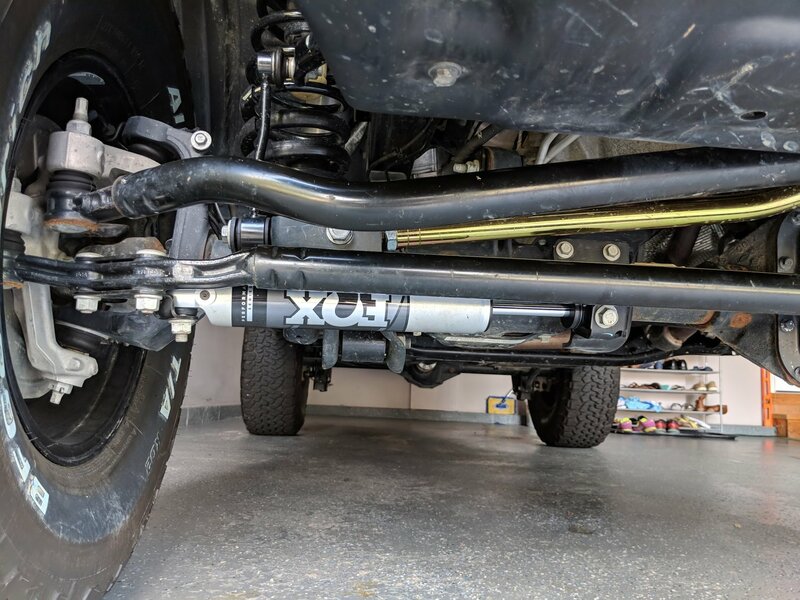 This steering stabilizer will aid you by dampening any sudden jolts or bumps in terrain. Simply bolt the 2.0 Performance series IFP Stabilizer onto your Jeep Wrangler JL to experience smoother side to side movement. With an aluminum shock body, it will resist rust and dissipate heat faster than steel. The mono-tube's internal reservoir design keeps the oil and nitrogen gas separate. It is sealed off with a scraper seal, wiper seal, and redundant sealing pack system main seal. Fox engineered this stabilizer to not fade, even under heavy abuse. The high pressure nitrogen gas and JM92 oil will not combine and cause aeration. For increased suspension articulation and reduced road noise, Fox uses black nitrile rubber bushings in their shocks. Great product. Just put it on my 2018 Jeep JL . After I had my Jeep dealer install the 2" Mopar lift last month the Jeep would go a little wobbly at every bump in the road. This fixed it. Installed it in just minutes. Looks good, works good. Not a big difference from stock but perhaps a little smoother bumps. Installs very easy with only two bolts and maybe 10 minutes of time.